So, in case you hadn’t heard, Ubisoft is following up the large success of Blood Dragon with a flashier version of the series’ original title with Far Cry Classic, and here is a video detailing both the Achievements for the update and the original intro video. The original Far Cry was, at the time, one of my favorite PC games. Since its release almost a decade ago, the multitude of subsequent titles in both the series and genre have made some of the features of the game obsolete, but a recent revisit reaffirms the game’s status as an attractive, intense action title with a good amount of freedom and non-linearity. 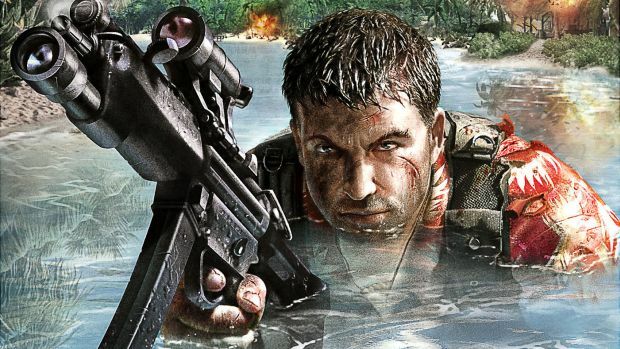 Far Cry Classic, to be released on Xbox Live Arcade, will feature a graphical overhaul as well as the obligatory Achievements, though any additional features are unknown at this point. For now, you can see the goals you’ll be working towards in the game, as well as revel in nostalgia with the intro video from the game. Perhaps sweetest of all, the game will be dropping at a nonspecific summer date for a mere 560 Microsoft Points (which is about $7). Will you be revisiting the game that started the series, trying it for the fist time, or are you simply not interested? Tell us in the comments, or find us on Facebook and Twitter!